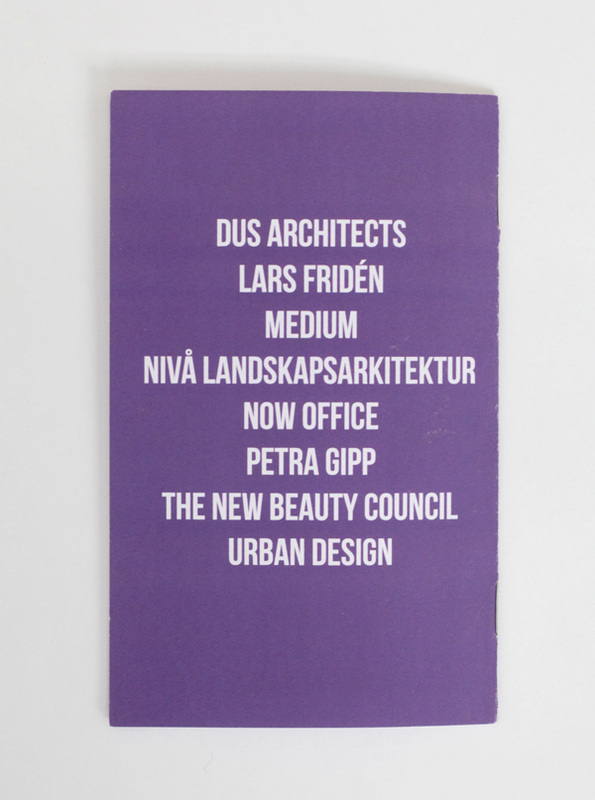 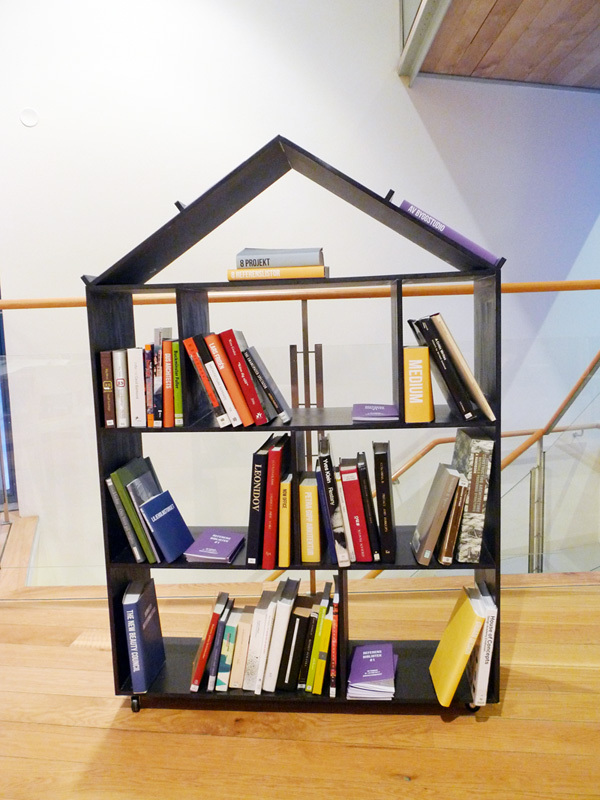 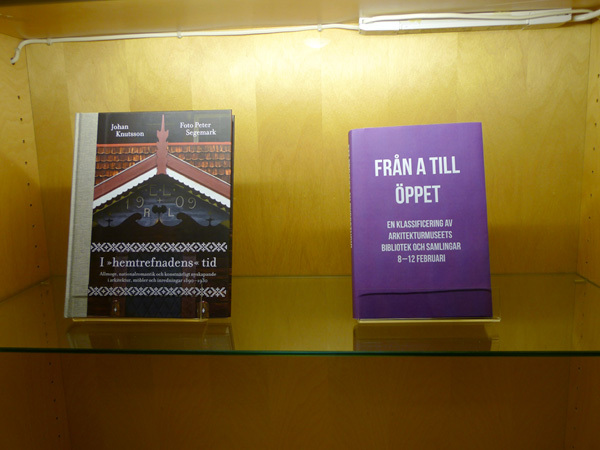 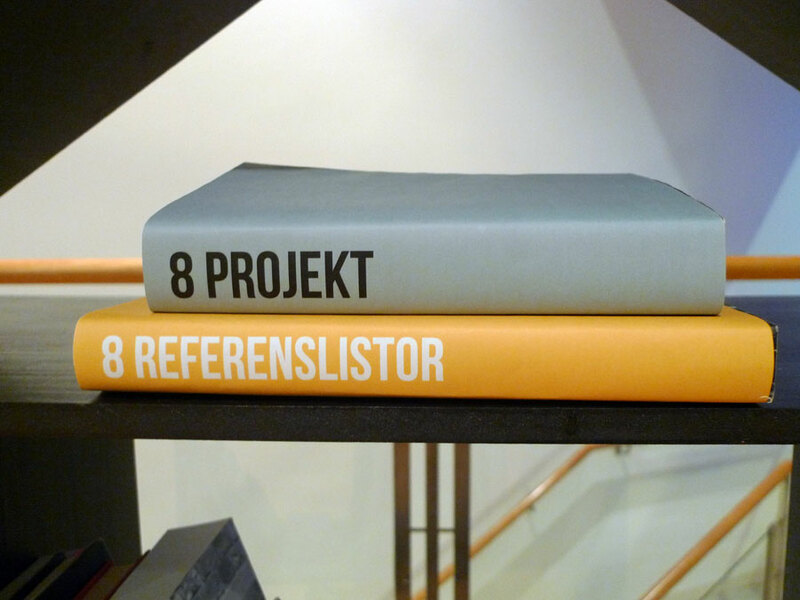 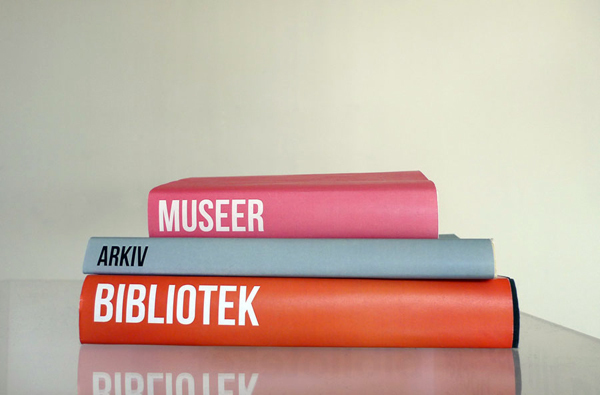 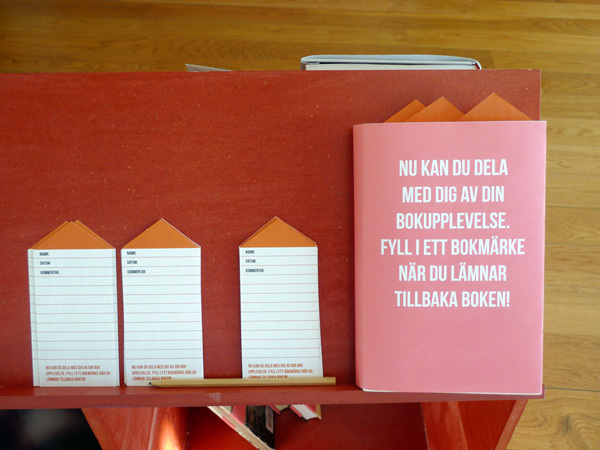 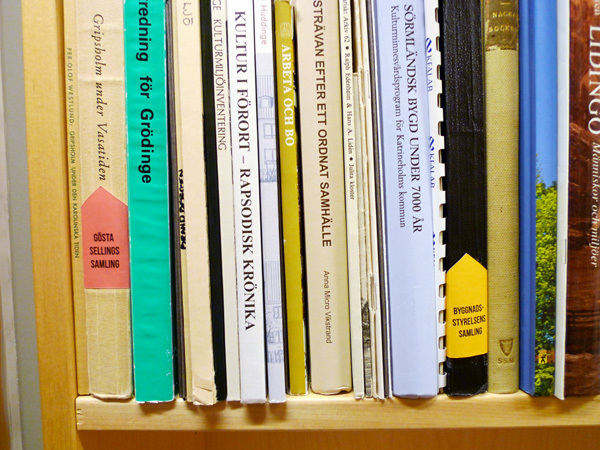 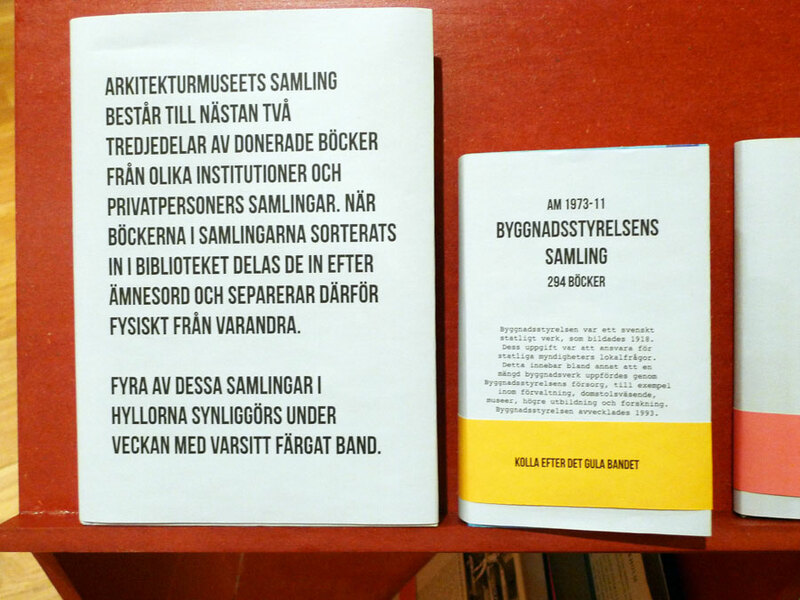 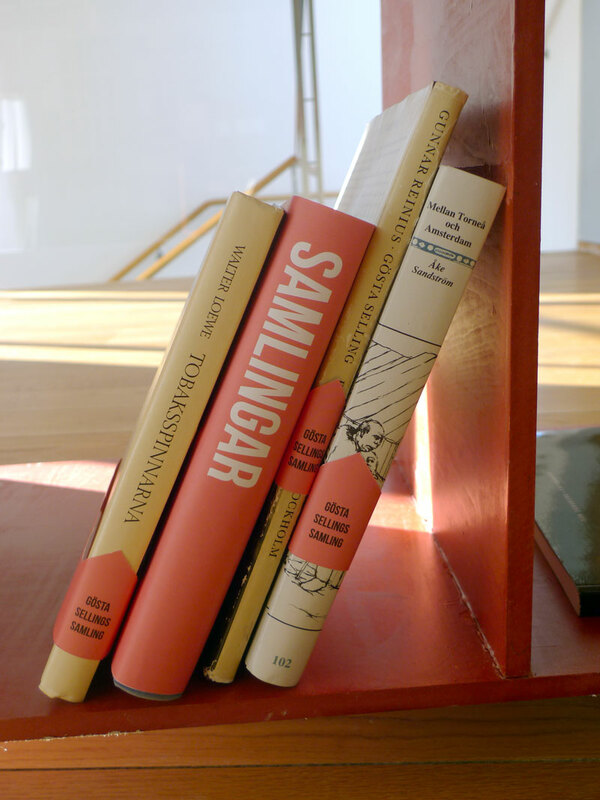 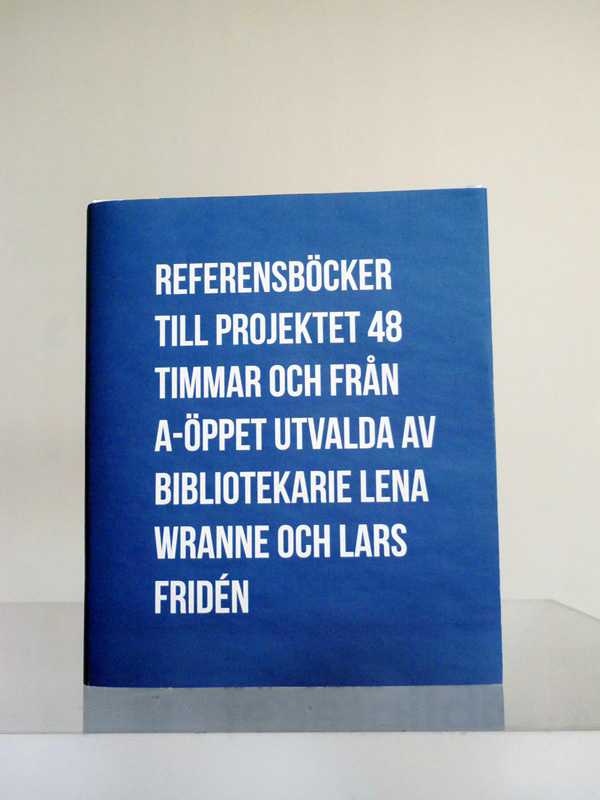 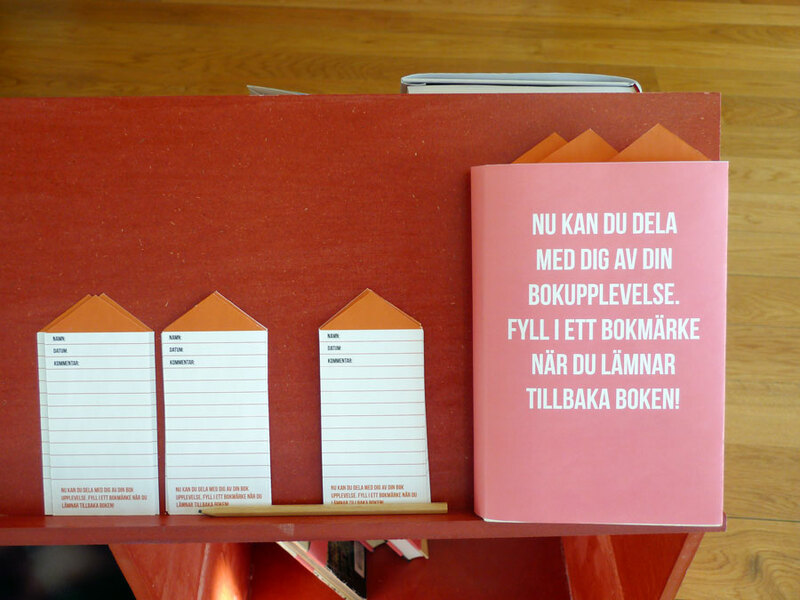 Exhibition project in the library of Arkitekturmuseet in Stockholm. 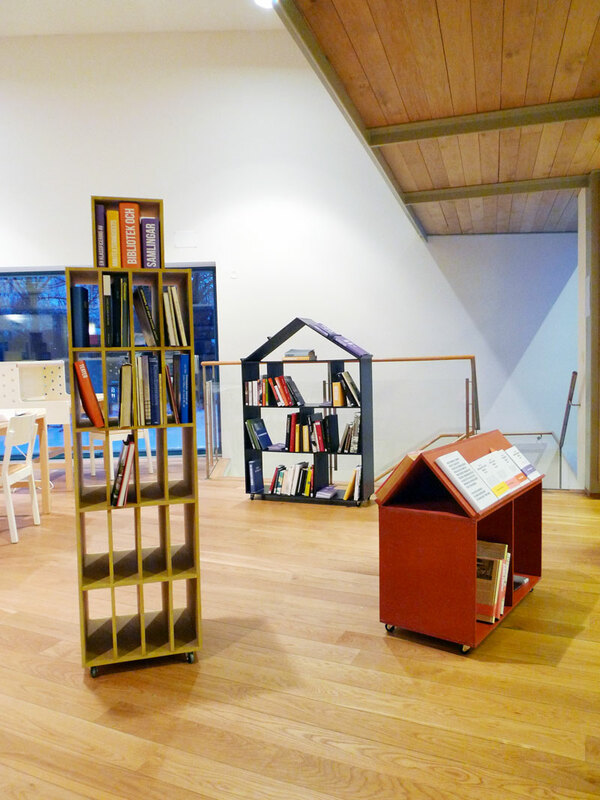 We wanted to open up the closed and introverted environment of the library room, making it more visually accessible for visitors. 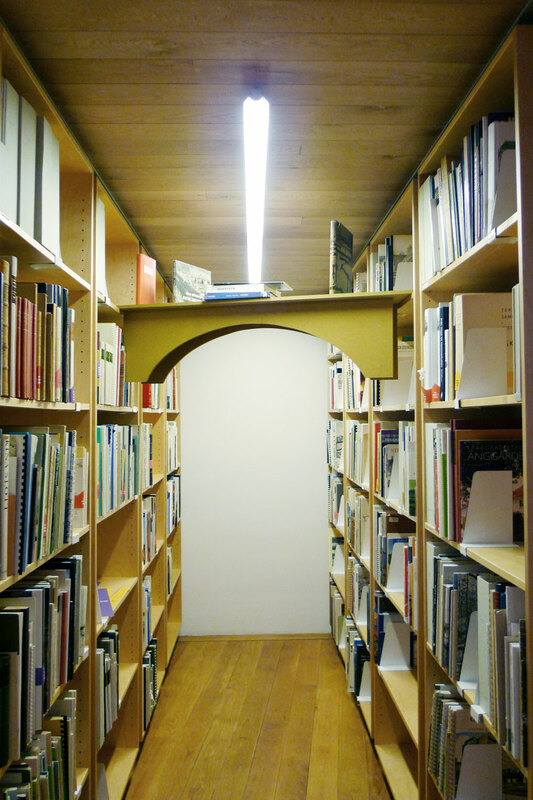 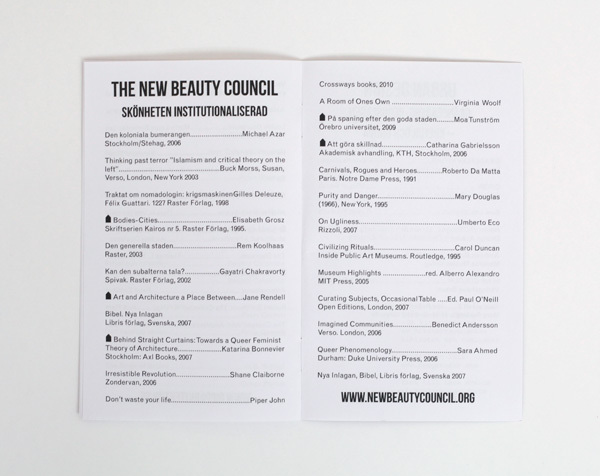 By adding categories on backstrips, and emphazising subjective themes and collections on a series of bookshelves designed as architectural elements, the space received a new infrastructure. 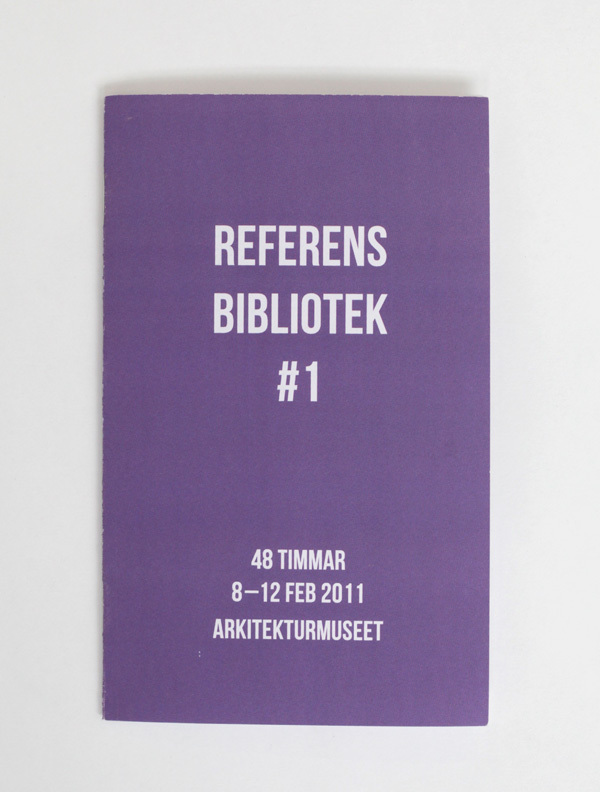 Part of the exhibition 48 timmar in 2011.